With the Jawaharlal Nehru Solar Mission set to enter its second phase, Refex plans to triple its installation capacity base next year. Standing with a 50 mw installed capacity & more orders in the books Refex aims a portfolio of 150 mw peak power capacity (MWp) installations in FY 13 –14. 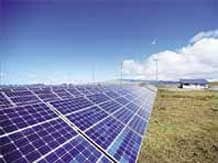 With 50% annual increase in solar power installations executed during the last three years, Solar Photovoltaic plants offer a big opportunity to the company. JNNSM aims at deploying 20,000 MWp by 2022 in the country.The latest installations done by Refex Energy is the successful commissioning of two large-scale grid connected solar PV plants with total installed capacity of 20 mw in the Bikaner district of Rajasthan this February.